It is time to start taking Battle Royale Games seriously! 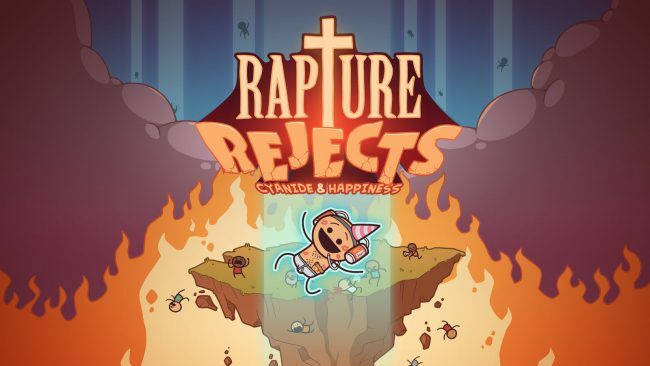 The folks at Cyanide & Happiness are and have presented us with Rapture Rejects. Alright, so maybe they aren’t taking it serious, and that’s actually a good thing. 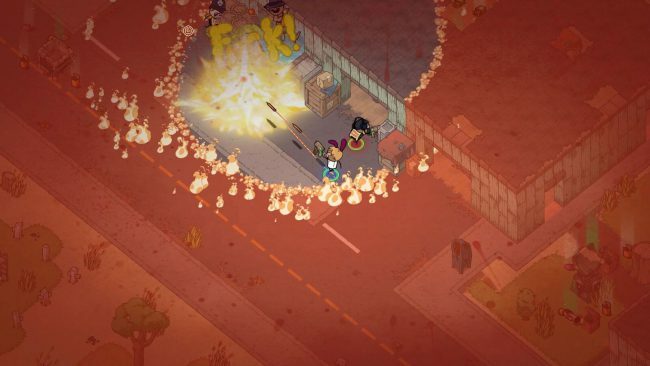 In a gaming world overrun by Fortnite, it’s a breath of fresh air to find a Battle Royale game that people are having fun with. A game that is intended for an older audience, a game in which you aren’t going to get schooled by a snotty 11 year old. As you can see in the trailer above this is very much a Cyanide & Happiness production. There is a great story as to why you are competing to the death against others. For those of you who are at work and are unable to view the video above, I’ll break it down for you because that’s just the kinda guy I am. Essentially, God is pissed off because he created the Earth, and all of its inhabitants and we are all dicks. Not all of us, but most of us. He decides to end it all, and the Rapture is now upon us. All of the good people have been brought up into the heavens, leaving only us heathens on Earth as the end is near. Because God is such a swell fellow, he decided that he will grant the sole survivor a one-way ticket into heaven. This is why you are competing. Your entire future hangs in the balence of competition and outsmarting your opponents. Everyone wants to be saved, no? Rapture Rejects is a unique, Top-down take on the Battle Royal phenomenon. As of me posting this you can play alone, or with a friend in duos. Like most other Battle Royal style games, you start the game with nothing and have to search for loot in an effort to survive. Throughout the map, you will stumble across various weapons including an F-Bomb (yes, this is actually what it’s called). You will also need to find items that allow you to heal once you take damage from all the other people who are trying to fight their way into heaven. Finding loot is quick, and effortless, unlike some other games. Head into a building, open a great and *BOOM* you found a gun. You’ll need to play around with different guns to see what fits your playing style best. You are able to carry two weapons at a time and most weapons have a primary, and a secondary attack feature for you to explore. If you die early enough in the game, you will respawn up until someone finds the golden ticket which is randomly places inside a loot box. Once this happens, hell breaks loose…literally. Once you die, you are dead. Like really dead. No coming back. The fight no begins as you try to fend off all the other knuckleheads in search for the golden ticket holder. As time continues, the map will close in and get smaller, and smaller causing an insane amount of damage if you are outside the safe zone. Use the map and plan ahead. Before you can do any of that you are going to have to create your character. This is your time to be unique and one of a kind. There are dozens and dozens of items are you disposal to make your Rapture Reject truly yours. You are also going to want to play, and win because the better you do the more tickets you get. What do you do with em? Spend em obviously! Cash em in for sweet new items for your toon! At the end of the day I have to say this game is a lot of fun and is not meant to be taken seriously. 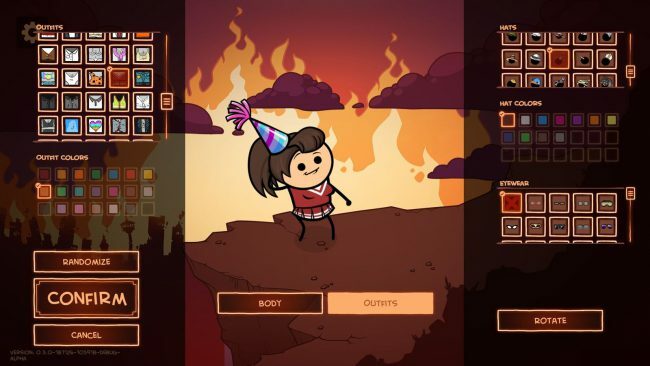 I mean; yes, you should buy the game and play it, but it’s Cyanide & Happiness so you should have some sort of expectation to what you are going to get here. 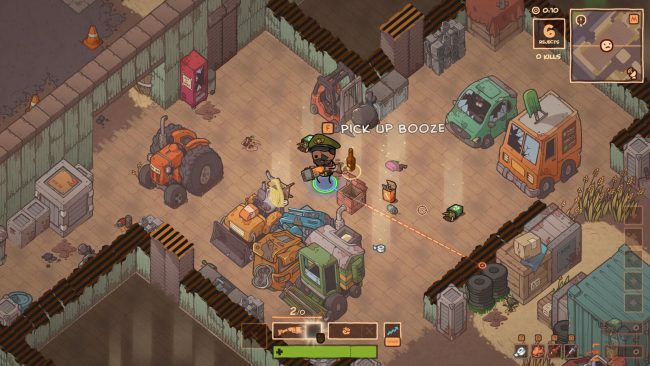 The game is currently in Early Access, but seems well developed. Haven’t had issues loading, or playing the game. Have stumbled across any bugs either. The only issue I have with the game right now is it has a very small player base currently. Keep in mind it is in Early Access, and has only been playable for less than two months. It’s definitely worth giving a whirl, and for $19.99 what do you have to lose? You can download right this second and find out more information by checking them out on the Steam Store by clicking here. Convenient, right? I do my best. Only available on PC right now, but isn’t that the master race? That’s what I’m told anyways.